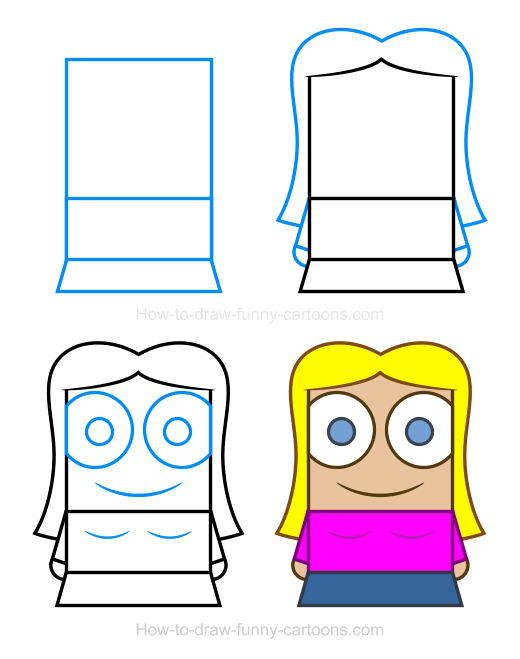 Create a simple girl clipart using a large rectangle and a few additional basic elements in just four easy steps. Drawing a girl using rectangles and squares is obviously something quite awkward. After all, women are known for having bodies filled with curves and circular shapes. How can we draw a girl using pointed shapes? That's the challenge of this tutorial! 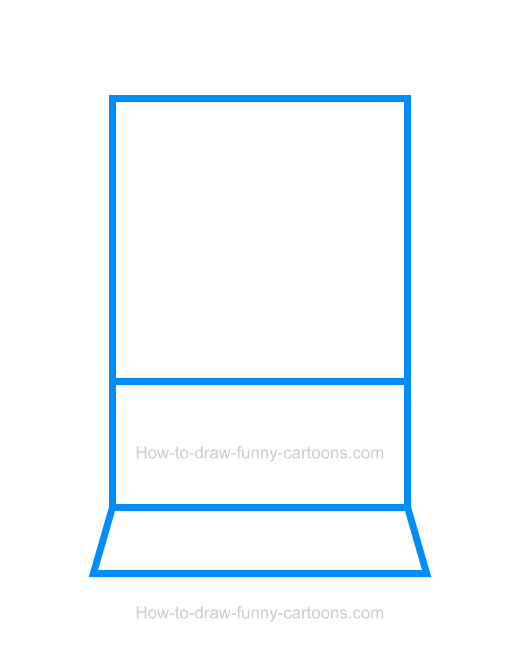 First, you can draw a large square to illustrate the head of the cartoon girl. 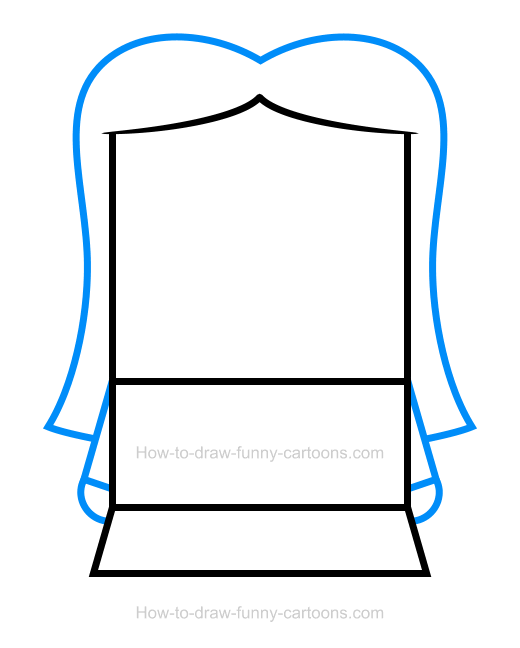 Then, you can add a rectangle below the head to form the body. Finally, another rectangle (that is wider on the bottom) can be sketch below the body to represent the skirt. As you can see below, all shapes are made using thick outlines to end up with an adorable character. We are done using sharp elements. Let's draw circles now! Good! It's now time to draw the hair using a long curved line. The arms are done with small rectangles while the hands are made from small circular shapes. That's it for this step! One last step is required before adding colors inside the illustration. Inside the head, draw two large circles to form the eyes. The pupils are made from smaller circular shapes. A long curved line is added below the eyes to illustrate the mouth. Finally, complete this cartoon girl by adding two thin lines on the shirt to create the breasts. Let's add colors! This female is blond. Of course, you can select any other colors if you don't want to use this one. The shirt is pink and the skirt is blue. Pupils are blue and all outlines are filled with various colors to bring this character to life. Great work illustrating this adorable girl clipart! You can find all steps required to illustrate this cartoon girl properly below. Don't hesitate to go one step further by adding various details or modifying the hair, the clothing or the posture of this character. You can also draw another version using only circular shapes and different colors. It's up to you! Be creative, practice as often as needed and have fun!